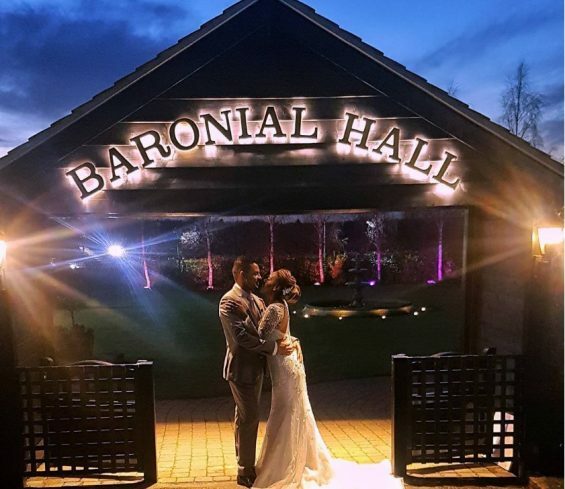 The Baronial Suite has all the integral facilities to stage the finest of weddings. 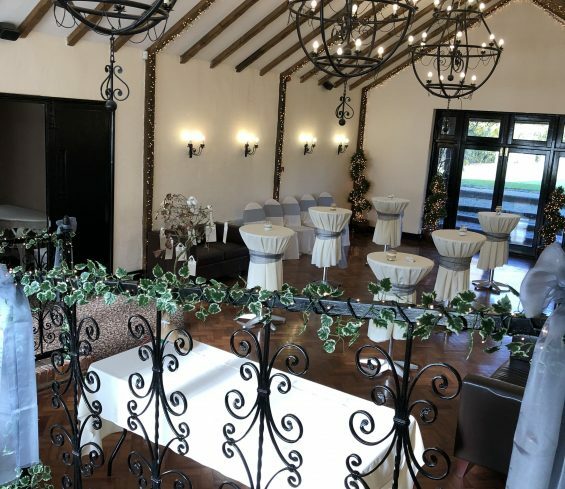 There are a choice of rooms and the gardens to carry out the ceremony. 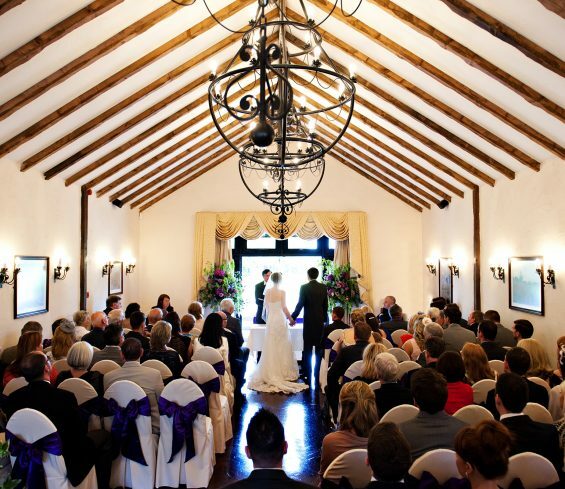 Most ceremonies take place in our Ryder Room, part of the Baronial Suite. You also have use of Willows (private lockable room) which, leads directly to the Ryder Ceremony Room. The congregation are seated towards the area where the marriage is performed, overlooking our beautiful gardens. All activities are under one roof. 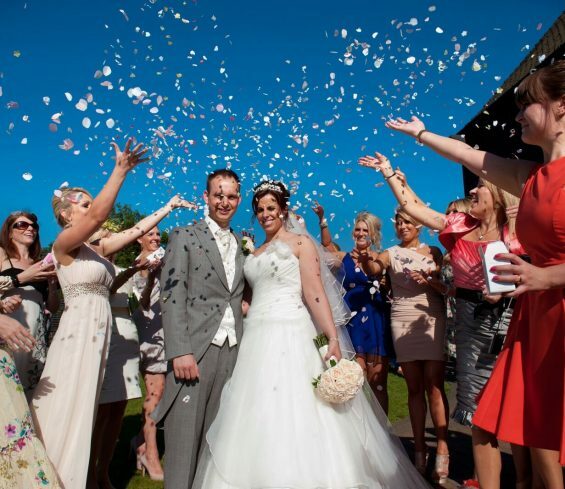 The convenience of the ceremony, reception and entertainment being in one location, is extremely popular. For summer weddings (when weather allows) we can stage the ceremony under a floral canopy in our gardens. 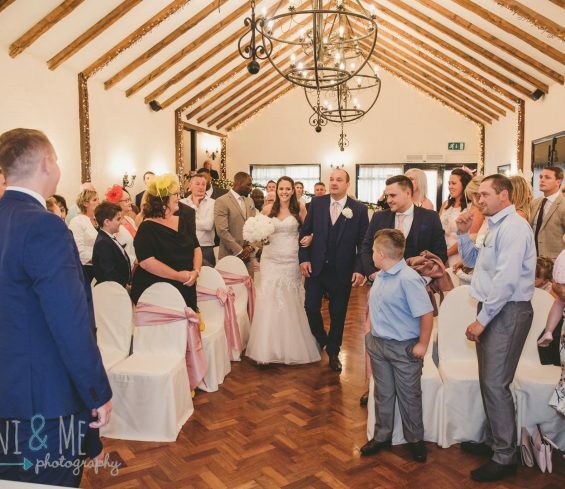 The ceremony is provided by the Essex Registration & Nationality Service, is a Civil Ceremony, with no religious elements. External weddings are not normally allowed, but because we have a floral canopy, you can experience a memorable ceremony. Another way to personalize the ceremony is to incorporate a reading of verse. The registry office has a selection of popular readings, which may be read at the ceremony by you or one of your guests. The Ceremony Room is yours for the time you are there. Why not use it as a Cocktail Bar? Please look to the right of this paragraph to see the revolving Photo Gallery. There is a picture of the Cocktail Lounge layout. It is very important that you and your guests arrive in good time for your ceremony. Please ensure that you have your arrival time confirmed, while at your final catering meeting. This allows you to be interviewed in good time prior to the ceremony, giving time for your guests to be seated. The registrar will see you privately to check details and collect any fees (where applicable) for the ceremony and marriage certificate. We have a wonderful sound system. Please ensure at the final catering meeting, your favourite and meaningful piece you wish to have played, is loaded onto a cd and given to the team. The law requires that you are accompanied by at least two credible witnesses at your ceremony. They may be relatives, friends or colleagues, who must be able to speak and understand English.